Hamilton has a lower division for students in grades 1-5 and a middle school division for students in grades 6-8. Class size ranges from 5-11 students, depending on grade level. Our total enrollment is approximately 75-80 students. Hamilton is overseen by a program director, an administrative assistant, and has 13 full time faculty members. The program also shares faculty members with other Wheeler divisions in art, music, library, and physical education. Preparing children for mainstream educational settings after they leave Hamilton is a primary goal of the program. Hamilton Lower School students have their academic classes in the Whitaker building on Wheeler's Providence campus. Hamilton 6th, 7th, and 8th grade classes are located within the Wheeler Middle School. Hamilton students are integrated with regular Wheeler students for art, music, library, physical education, Aerie (enrichment) classes, field trips, and special events. Hamilton students are also integrated for lunch periods and recesses, mini-courses, and activity times. This school-within-a-school model allows students to be taught in smaller instructional groupings by teachers who utilize specialized teaching approaches while also providing the opportunity for socialization in the wider school community. Perhaps what sets Hamilton apart from other schools is its focus on remediating skill deficits while also helping students to develop their talents and interests. Whether you are a prospective parent, an alumnus or just a casual visitor of our site, we welcome your interest in the Hamilton School at Wheeler. Learn more at this resource page. Visit the IDA site to access more information and resources related to dyslexia. Parents can join IDA for a nominal fee and access a wealth of resources. Learn about resources and events in Rhode Island and Massachusetts. Rhode Island Tutorial & Educational Services (RITES) was established over a decade ago to help students with various learning styles realize their academic potential. Also, RITES operates Hamilton's summer program. They are an excellent resource for tutors during the school year and in the summer. Hamilton Summer Programs offer intensive, fun and engaging academic instruction that reflects the Hamilton approach to teaching. In addition to providing these intensive programs, Hamilton’s partner RITES also offers programs that keep skills sharp for reading and math, as well as creative writing enrichment options. For the full menu, click here (http://www.ritutorial.org/rites-programs/summer-programs/). Is your child having trouble identifying letters? Do they guess at words when reading or having difficulty spelling or writing? Hamilton now offers FREE Early Reading Screenings, for students in Grades K-3 on campus. Print this flyer for details and share with your friends. Open to the public and Wheeler community. Email thehamiltonschool@wheelerschool.org for more information. SCREENINGS WILL END THIS SCHOOL YEAR ON MAY 1 and RESUME NEXT FALL. The Hamilton Institute will once again offer its popular workshops this summer in Multisensory Instruction for K-8 teachers from any school. The workshop series explores practical strategies to help students with and without learning differences develop productive habits of learning and metacognition. Download the flyer here and register here. While Hamilton students have great overall cognitive ability, they often struggle with acquiring reading, spelling, written expression, math, organization and study skills due to dyslexia or other learning differences. We believe that our students can learn these skills so that they can function well, and even, excel in school and in life. Our curriculum is designed to teach compensatory strategies so our students can master these critical academic skills. Hamilton students have separate academic classes where teachers use specialized methods (i.e. Orton-Gillingham, Project Read, Lindamood Bel) to teach students reading, written expression and math. Language arts is the heart of the curriculum and is designed to help students expand their reading decoding and fluency, handwriting, spelling, grammar, and written expression skills. Generally students are taught in small instructional groups. Hamilton class sizes range from four to ten students. The Hamilton School’s instructional methods are designed to teach children academic skills so they can “learn to learn.” Skills are directly and systematically taught, reinforced and re-taught throughout the program. LD children usually learn best using multisensory techniques which reflect our kinesthetic and tactile instincts which reinforce and bond with our visual and auditory pathways for learning. Our instruction, largely hands-on and experience-based, is complemented with field trips, multi-media technology, music and drama. While Hamilton teachers do not always cover the same quantity of content, the curriculum for each grade parallels the content within the corresponding Wheeler grades. For art, music, physical education, electives, lunch and recess periods, field trips and after school sports and other non-academic programs, Hamilton students are fully integrated with Wheeler students. These combined classes account for more than 50% of a student’s day. The Hamilton School's instructional methods are designed to teach children academic skill so that they "learn how to learn". Skills are directly and systematically taught, reinforced, and retaught throughout the program and at grade level. These children learn best through direct, systematic teaching using a multisensory approach. All subjects reflect the importance of the kinesthetic and tactile modalities to reinforce and bond the visual and auditory pathways for learning. The instruction, largely hands-on and experienced-based, is complemented by field trips, multimedia technology, music and drama. While Hamilton teachers do not always cover the quantity of content, frequently, the contentcurriculum for each grade parallels the content within the corresponding Wheeler grades. Teachers meet regularly between divisions (Hamilton and Wheeler) to plan, develop, coordinate, and evaluate curriculum. Wheeler & Hamilton 4th graders at annual 'Battle of the Books' Hamilton Lower School students are exposed to a rigorous set of academic classes, including language arts, math, social studies, and science. All Hamilton Lower School students have a daily reading class, Orton-Gillingham class 3x/week, and regular written expression classes. In addition to the content inherent in the courses, these courses are designed to teach and practice reading, writing, and study skills. One advantage of the Hamilton model is that teachers who teach Orton-Gillingham are often the same teachers who are teaching math or social studies so skills that are taught in isolation can also be practiced within content classes. In middle school students are faced with an increased amount of work to accomplish and, thus must learn to work more efficiently to be successful. At many schools it is difficult to practice skill development because of the work that needs to be accomplished. For students with learning differences, it is imperative that they continue to hone their reading, writing, and study skills. The Hamilton Middle School is located within Wheeler's Middle School and usually has 27-28 students in grades six, seven, and eight. We call it a "modified" middle school program because, although students change classes all students have one teacher who is their advisor, social studies teacher, and language arts teacher. In this way, teachers are able to develop close relationships with students and guide them as needed. Hamilton middle school students have learned how to read, but often struggle with reading fluency and integrating the study skills necessary to complete multi-step and long term assignments. The goal of our middle school program is for students to succeed in a challenging independent school curriculum, while simultaneously strengthening their component reading, writing, math, and study skills. Students must understand those areas where they are weaker and advocate for themselves with their teachers. In June 1992 Jonathan Green was appointed director of The Hamilton School at Wheeler. 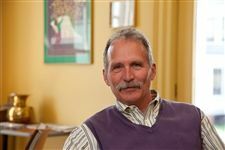 Jon graduated with a degree in Education from the University of Vermont in 1975 and earned a Masters Degree in Education from Harvard University in 1981. Jon brings to the field of learning differences 30 years of teaching experience. Prior to Wheeler, he taught students and administrated programs at the Landmark School in Beverly, Massachusetts and Mt. Abraham Union High School in Bristol, Vermont. Jon is active locally and within the national LD community. 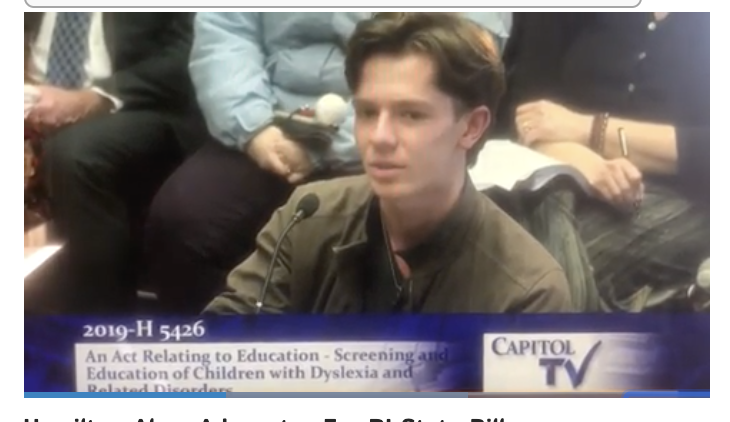 He is a member of the International Dyslexia Association and was on the IDA National Board of Directors for six years. From time to time Jon comments on his LDadvisor Blog.